What are the duties of the door position? This entry was posted in Irons/OV Position by countyfiretactics. Bookmark the permalink. To maintain egress, chase kinks, feed hose (Bow and Go), chock doors, monitor smoke conditions from the outside, operate backup lines if necessary and perform ventalation when applicable. Once hose line is in place an interior search may begin. FIRST, DIRECT voice communication with interior. If they are no responding to command. The door person can yell info. Get Out, Flow Water, entrapment, etc…. Second, manage the movement of line, so it gets to the seat of fire. Control door opening. Manage back-up line placed at front door if needed. Additional horizontal vent on A-side when needed based on smoke & heat conditions. Last, after WATER on the FIRE. move in for search starting at the door. Door person should finish taking the A-side window clear it out sense firefighters will be entering that room. The door firefighter should feed the hose line and control the door to limit introduction of air. The entry point is a vent opening. Inward airflow will increase heat release rate. In addition, if there is a bi-directional air track (smoke out & air in) fire will follow the flow path to the door. 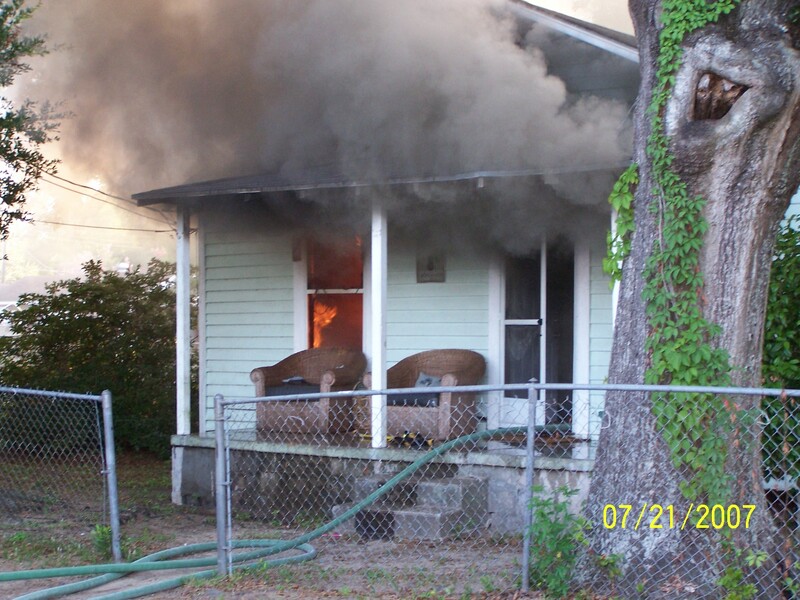 Control of the door to limit air flow becomes somewhat less significant if the attack line will reach the fire quickly. The door firefighter also serves important safety functions by maintaining egress ans potentially staffing an additional line (with limited staff we often use the standby team (IRIT) for in this role. Horizontal ventilation (including the entry point) must be coordinated with fire attack as discussed in the 2011 UL report on the impact of ventilation on fire behavior.